When is a dessert not a dessert? 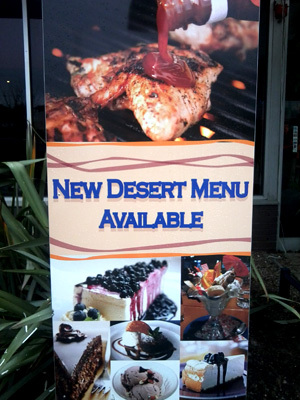 From the land that bought you the “Desert Menu“, I now need your help in deciding what constitutes a dessert. 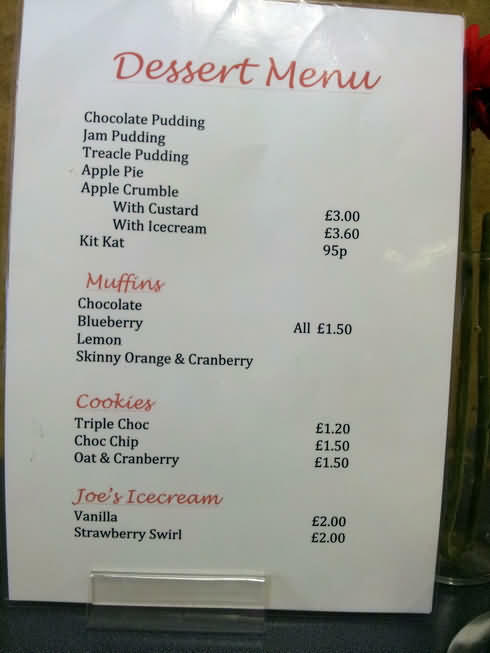 Can anyone tell me when a Kit Kat or a biscuit became a dessert?! As seen outside a pizza restaurant in Swansea. Their puddings must be really dry and some seem to be served with barbecue sauce! Is Christmas early this year?